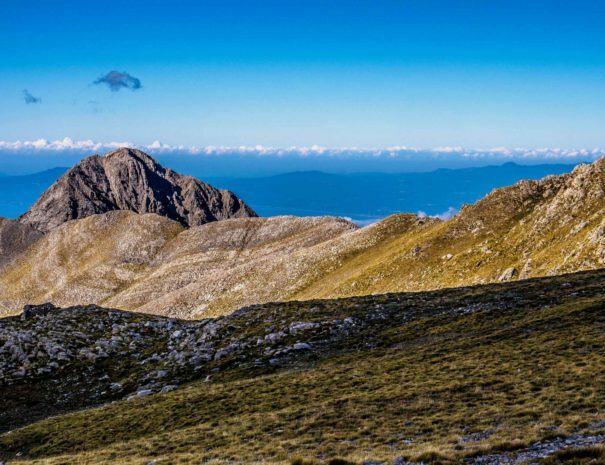 It is the highest mountain range in the Peloponnese peninsula in Southern Greece. 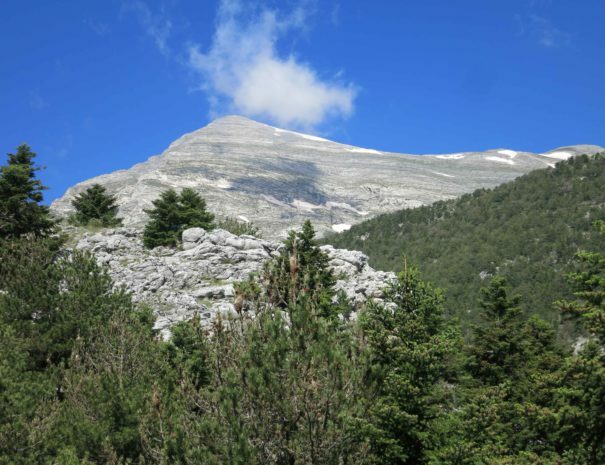 Taygetos is 2.407m above sea level and it is a mountain with rich flora and fauna, included in the Natura 2000 network of natural habitats. 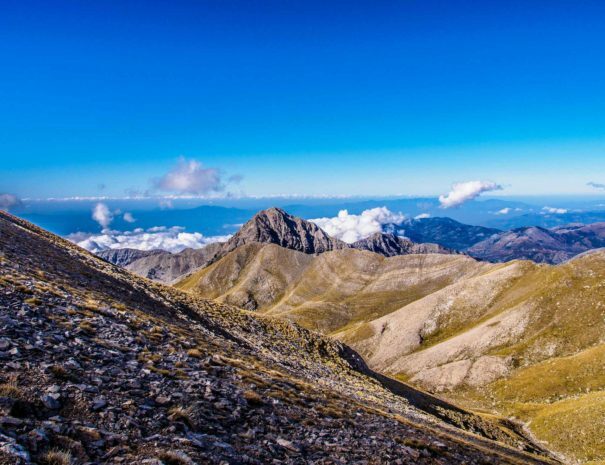 For centuries Taygetos was the ultimate training field for the Legendary Spartan warriors. Before the ascent it is required to meet the imposing statue of King Leonidas in Sparta, so we can have his wishes. According to Greek mythology, Taygetos took its name from the nymph Taygeti, one of the Atlantians and daughter of Atlas. However, according to ancient Greek history, at the top there was a temple of Apollo, the God of the Sun and music. 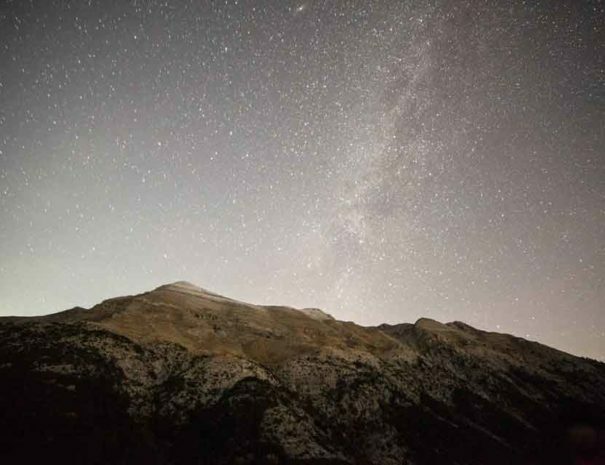 The Spartans threw criminals, traitors and captives, into a chasm of Taygetos known as Ceadas. 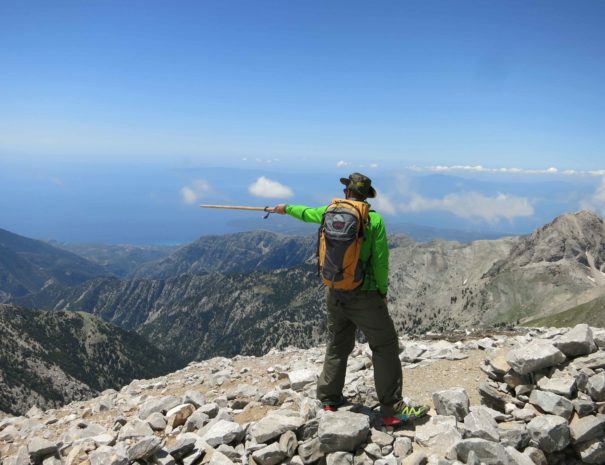 From the Spartan shelter, at the Varvara spot at 1,550 meters, we leave the Spartan side of Taygetos behind us and four hours later, climbing the last few meters of the mysterious pyramid summit we will meet the roofless chapel of the Prophet Elija. The view of the entire Messinian bay will lie before us. The return is almost through the same places with different view. 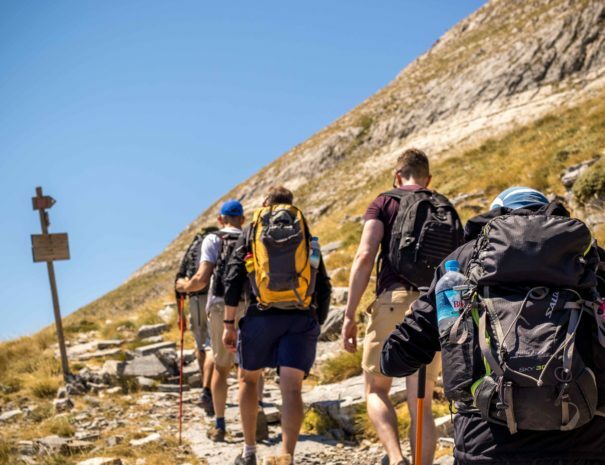 Grab the opportunity and meet god’s Apollo Mountain accompanied by the Spartan mountain guide and head of “Climb Up Outdoor Activities” .